The Dairy Cow Welfare Strategy was first launched in 2010 to try and improve the standards of welfare for dairy cows in the UK. Whilst it was recognised that farmers in the UK operated at a very high standard, it was thought that methods and welfare standards could be improved. Welfare priorities were established, with measurable goals to bring about change. In 2014 the Cattle Health and Welfare Group (CHAWG) conducted a review of the Dairy Cow Welfare Strategy to bring it up to date with current issues and challenges within the dairy industry. The CHAWG studied health and welfare data collected from dairy herds throughout the UK to publish this document designed for subsequent use within the industry and by policy makers and non-governmental organisations concerned with animal welfare. It would allow these groups to make changes as to how welfare is managed and measured. One of the key changes in the focus of the new strategy is in the removal of a target-based system to one of encouraging an aspirational approach. It was thought that setting targets meant that once those targets had been reached everything stopped. With the aspirational approach, it is believed that changes will continue to be made to bring about a continuous drive forward in dairy cow comfort. There are two new priorities contained in the strategy document which we look at here. If a dairy cow is happy and healthy then it will, in turn, prove to be more productive, and therefore more profitable. As such, its health and welfare needs are of paramount importance. If farmers get this right then other aspirations concerned with productivity, health and fertility should improve as a result. Allowing a dairy cow to behave as naturally as possible achieves best results and so farmers need to ensure that the animals are kept in a suitable environment. As an example, bedding areas need to be large enough and kept clean to allow the cow comfortable lying time by removing any potential for injury or discomfort. The future of the dairy industry is reliant upon the production of happy and healthy youngstock, and so the welfare of calves is key to achieving this. 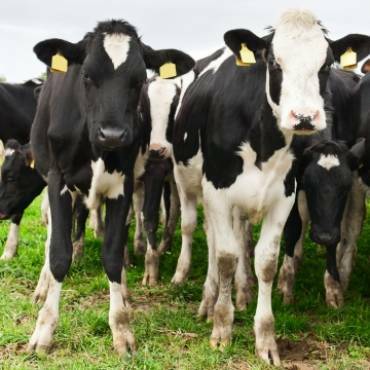 It is believed that calf pneumonia and scours is costing the dairy industry £80 million which is, understandably, of great concern within the sector. Data collected from the British Cattle Movement Service (BCMS) suggests that calf mortality is running at three percent, excluding stillbirths, which is an unsatisfactory number. It is believed that 45 percent of animals leave the dairy herd within three lactations (Kingshay report 2013) and it is thought that a number of these departures take place between birth and first calving. Again, this statistic needs to improve with further strategy implementations in cow welfare. 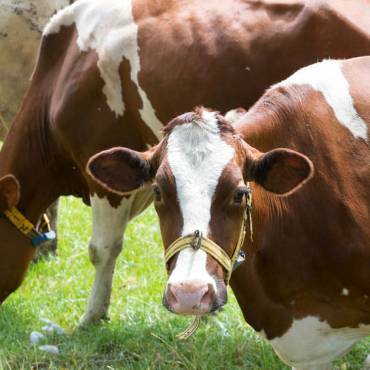 Changes to the existing priorities include a greater emphasis on the collection of data from farms to drive changes in herd management and dairy cow welfare. In addition, there is a change in focus concerning mastitis, shifting from treatment and control to overall prevention. Approximately, 90 percent of milk is produced under the Red Tractor Dairy Assurance Scheme and so Farm Assurance has been removed as a priority in the revised strategy. Finally, the review suggests that it is not the part of the strategy to promote consumer awareness but to provide data to interested parties only.